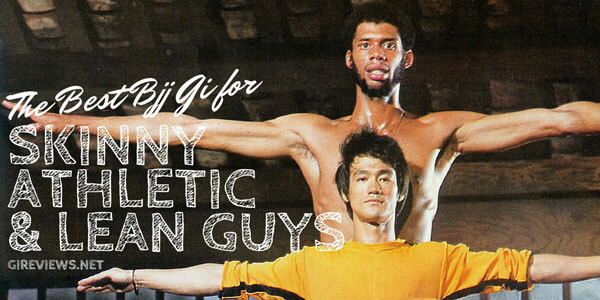 » BJJ Globetrotters’ New Travel Gi: New Much of a Good Thing? Back in 2015 we reviewed the BJJ Globetrotters gi, which received our highest praises. The innovative company has released another iteration of their specialized travel gi and sent us one to compare to the original version. How does the newer version stack up to the original? BJJ Globetrotter was founded by Danish black belt Christian Graugart, a proud and avid BJJ Globetrotter. 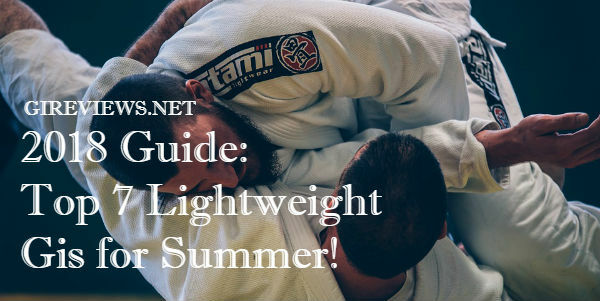 Graugart’s travels were documented in his book, and his company BJJ Globetrotters has made it their mission to help jiujiteiros around the world get the most out of traveling and training. This Gi was submitted to me free of charge (by way of gireviews.net) for review. 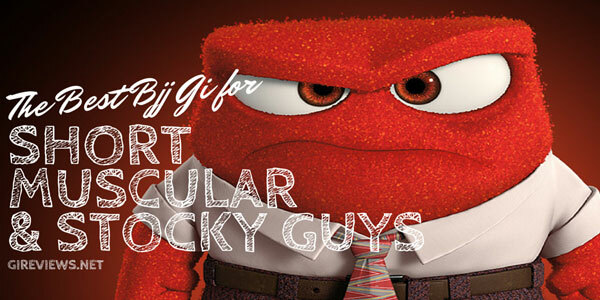 I have never done any work with or for BJJ Globetrotters. I’m 6’1, 195. The best fit for me is an A2L. This gi is an A3, but it fit me fine. I found the cut to be a bit boxy, I actually preferred the old cut to this one. Maybe an A2L would have been a bit better. It is made of 100% black rip stop, with white piping and rope loops. The bottom of the back of the top has waves embroidered onto it, the original version of these waves on the grey gi had a couple of colors, this version is tonal black to give it that murdered look. I actually personally prefer that. There is an airplane embroidered in between the shoulders. 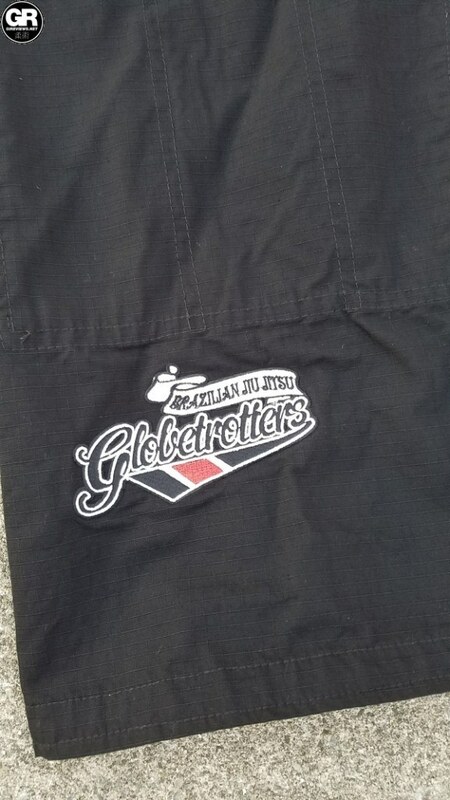 On the original version one arm had the BJJ Globetrotters logo as does one of the pant legs. On this version both arms have the logo. The inside of the lapel has birds printed onto it; these faded slightly over time on both versions. The seam tape was changed from a black and grey color scheme with waves and branding on it to a similar design featuring the same waves but with the text on the seamtape on the bottom of the jacket “The Gentle Art of Travel”, this is present throughout the entire gi and pants. For me, the key difference between the new version and the old version is the texture of the ripstop. The original ripstop was a bit smoother while this one has a more pronounced texture. This doesn’t affect anything at all in my mind, but if you’re sensitive to textures the original version may have been better for you. 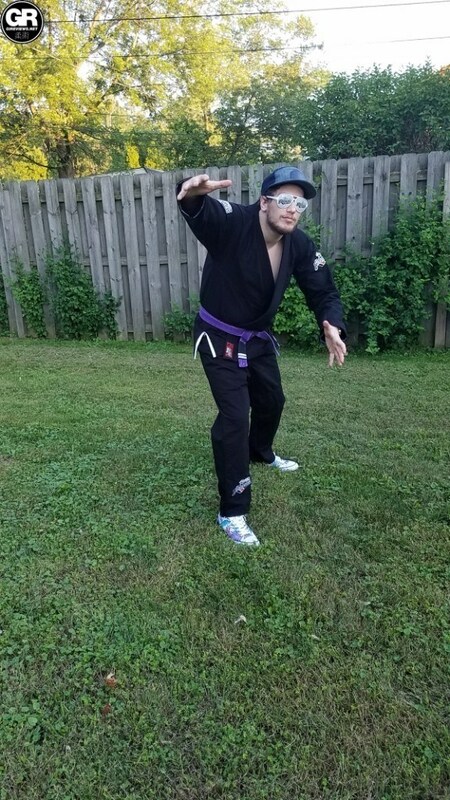 BJJ Globetrotters built their jackets to have all of the advantages of a full weight gi while still being ultra light weight. That is to say: the lapel is very thick and unyielding while the rest of the gi is paper thin (though not paper flimsy!) I found the lapel on this new model to be ever so slightly thinner than the older version. The embroidery on the bottom of the back of the gi is gorgeous. I’ve never seen another gi company use that space for the design and it is amazing. It has no bearing on the function of the gi, but it adds to the aesthetics of it. I am partial to the new tonal design because I love tonal coloration. I like the globetrotters logo on both arms, one item of note is that they’ve changed this logo slightly, the original had a bit of yellow in it, this one is black white and red. I like the toning down. 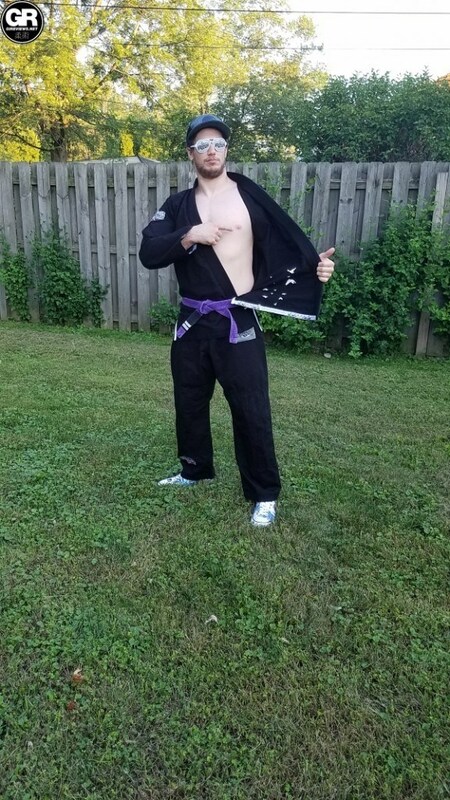 The fit of this gi was a bit odd for me. The first iteration fit considerably better. It’s not that the gi was ill fitted, but the other one felt more tailored. The lightness of the gi means it doesn’t absorb sweat very well, so it soaks through and feel like a wet pair of jeans. This takes a bit of getting used to, but it’s kind of the nature of a soft cottony rip stop. 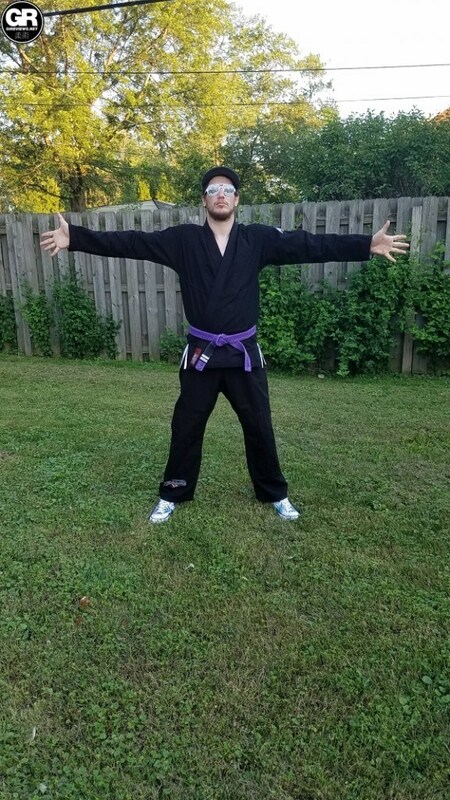 One thing I found interesting was that the textured V2.0 seemed to be slightly more absorbent which was nice, still way less than a normal gi. Also read: 2018 Guide: Top 7 Lightweight Gis for Summer! In my opinion the BJJ Globetrotters Gi is still bar none the best 100% rip stop travel gi on the market right now. Comfortable, well fitted and beautiful. If you need a lightweight and/or travel gi this would be my recommendation. You can find one in your color of choice (grey, white or blue). 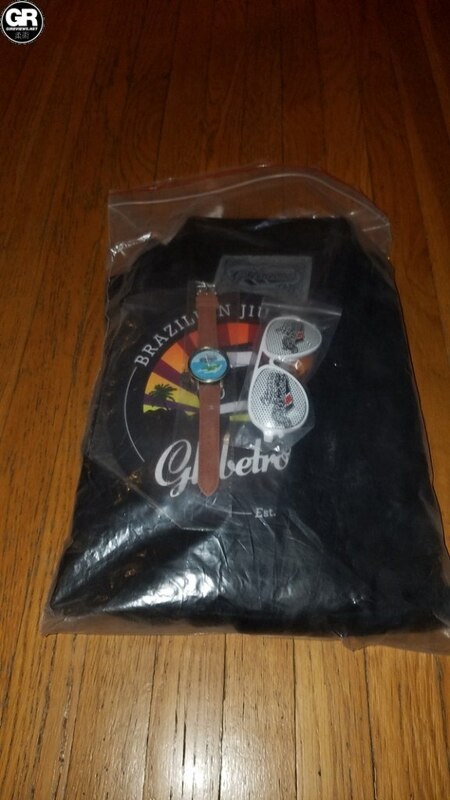 Right now they’re clearing their 2.0 stock and have reduced their price, go to www.bjjglobetrotters.com you won’t regret it.